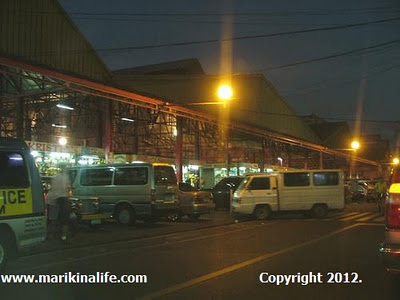 The international movie "Bourne Legacy" is rumored to start shooting scenes from the Marikina Public Market, known as Marikina Market Mall, or to Marikenos as "Palengke sa Bayan." The shoot is rumored to take place across Mercury Drugstore along W Paz where the fruit and meat section of the public market is located. The original date publicly mentioned is that the movie crew will start shooting from February 1 to 4, 2012, however some sightings, perhaps preparations in line for the taping have been spotted. The fourth “Bourne” movie series based on the spy novels of Robert Ludlum previously shot scenes in Manila and is also set to shoot in Malabon and El Nido in Palawan. UPDATE AS OF FEB 7 2012: Sign spotted at the Marikina Public Market says shooting will be from Feb 8 - 10. Marikina Sports Center is being used as venue for parking everything to be used for the shoot. Along Sumulong highway,right turn at Shoe Avenue left turn at V.Santos,left turn at J.P Rizal,right turn at A.Bonifacio Avenue to point of destination. Along H. Roxas corner JP Rizal (that's the street after the San Roque Chapel). Rumored to shoot Feb 9, 2012 early morning. Car chase scene from the Sto. Nino Chapel (along JP Rizal, near the bridge) to Calumpang on Feb 8, 2012. Residents were asked not to put out garbage.